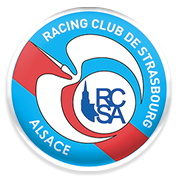 Some teams have more draws than others, and Angers, together with Reims, have the most draws in the league this season. They played thirteen games which ended without a winner. Their last four matches were also draws. And before that, they lost to Guingamp which means they are now five games without a win. On the other side, the up-to-recently solid Rennes team and their opponent on Saturday, has struggled in the last three games. They drew with Bordeaux and lost to Lyon. Before those two matches, they failed to build on a 3:1 lead from the first leg to lose 3:0 in the return leg to Arsenal and crash out of the Europa League. A win for the home side will take them just a point behind the visitors in the table. For Rennes, winning would put them back in the hunt for the European League spot and snap the three-games winless run. 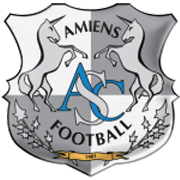 Angers haven’t lost at home in the last five matches. This gives them a clear advantage since Rennes hasn’t won away in the league for the past two and a half months. Born in Longjumeau, France on February 2, 1993, Flavien Tait is a French footballer who plays for Angers as a midfielder. Tait began his youth career at Rodez and in 2010 he moved to Chateauroux. 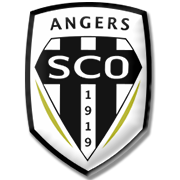 After spending first years of his senior career at Chateauroux, the 175-cm tall footballer joined Angers in 2016 and he has been playing for les Scoistes ever since. Flavien Tait impressed in the 2017/2018 Ligue 1 campaign and it has to be noted that he scored 4 goals in 34 appearances for Angers in the process. His main position is winger, but he is often used as an attacking midfielder. Flavien Tait’s preferred foot is right and he wears No. 20 jersey at Angers. His contract with les Scoistes should expire on June 30, 2020. It has to be noted that his market value was €4.5 million on June 4, 2018.Flavien Tait has yet to make his France debut.